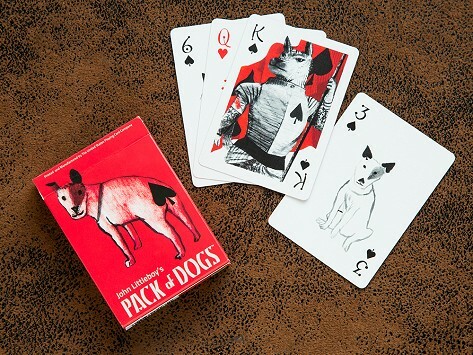 These playing cards are infused with charm and humor courtesy of original illustrations depicting adorable dogs. A story unfolds through each ace through 10 suit telling an engaging, pup-centric story, while the face cards star dogs dressed up as a pirate, a prima ballerina, and other colorful characters. I bought these for a family member who loves to play cards and is a dog lover and she loved them! This deck of "dog cards" is so cute. Each suit has different scenarios of dogs to represent each number and face card.